Likewise, they prefer sea ice for molting, mating, nursing and resting between dives for food. Trouble is, as the century progresses, there's going to be far less ice around. However, the U.S. 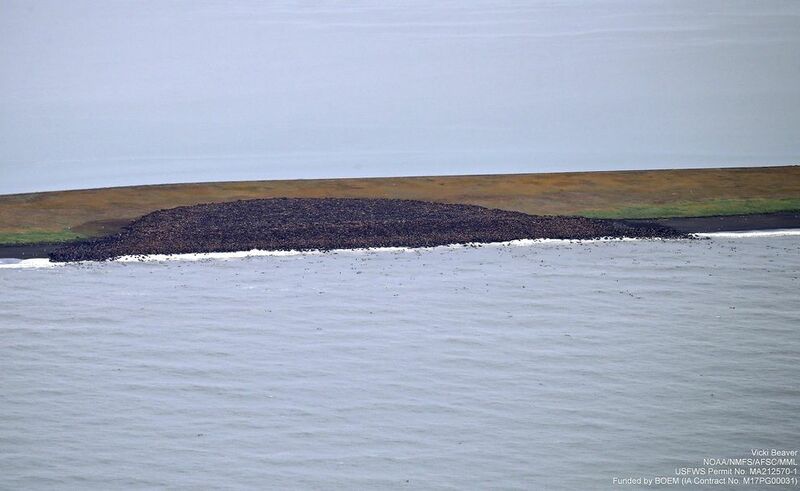 Fish and Wildlife Service concluded in October 2017 that walruses are adapting and no one has proven that they "need" sea ice. "It is unknown whether Pacific walruses can give birth, conduct their nursing during immediate post-natal care period, or complete courtship on land," said Justice Department lawyers in defending the decision. 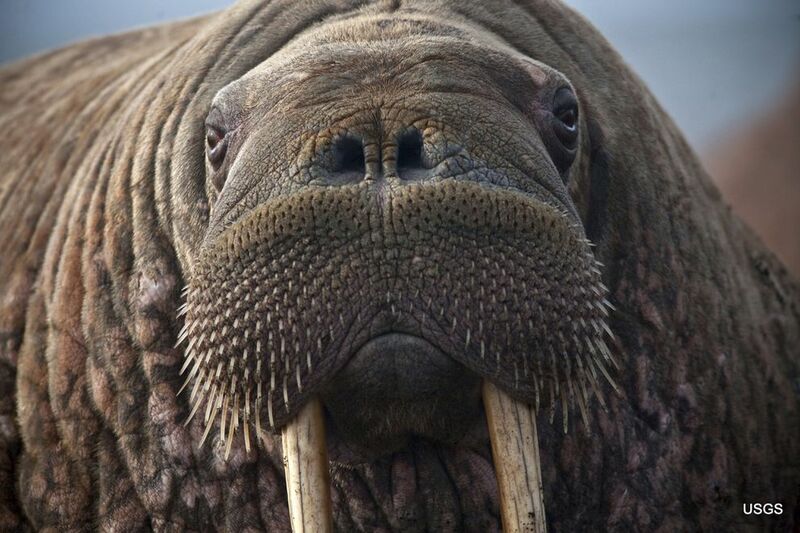 A federal judge in Alaska will hear the center's lawsuit challenging the government's decision not to list the walrus as threatened. More open water already has meant more ship traffic. 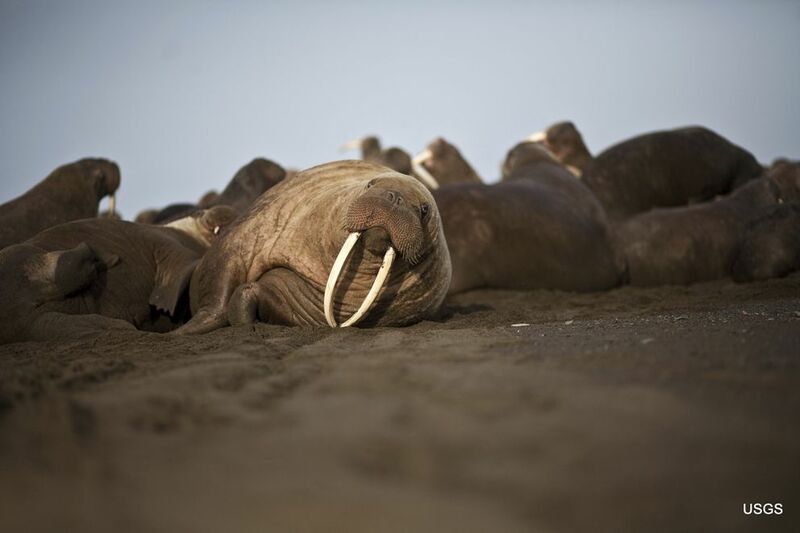 Walruses also could find more humans in their habitat with a reversal of U.S. policy on Arctic offshore drilling. Former President Barack Obama permanently withdrew most Arctic waters from lease sales, but President Donald Trump in April 2017 announced he was reversing Obama, a decision being challenged in court. The administration's proposed five-year offshore leasing plan includes sales in the Chukchi Sea. 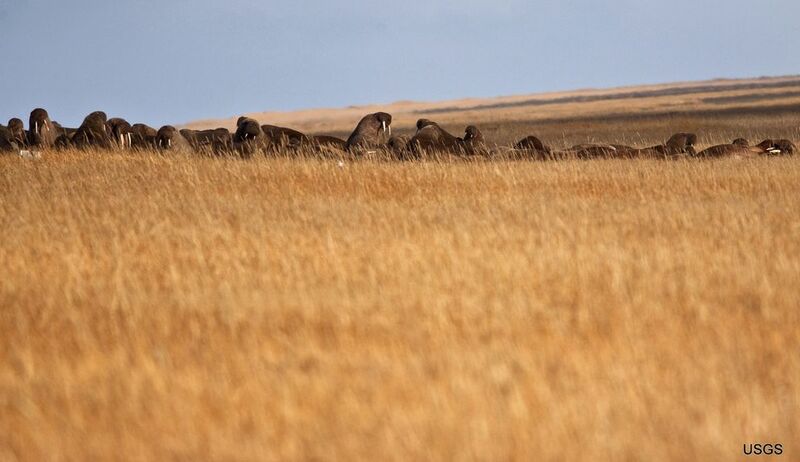 The array of stresses and uncertainty about the walruses' future are enough evidence for listing them as threatened, the Center for Biological Diversity argues. "They're not adapting. They're suffering," Wolf said. 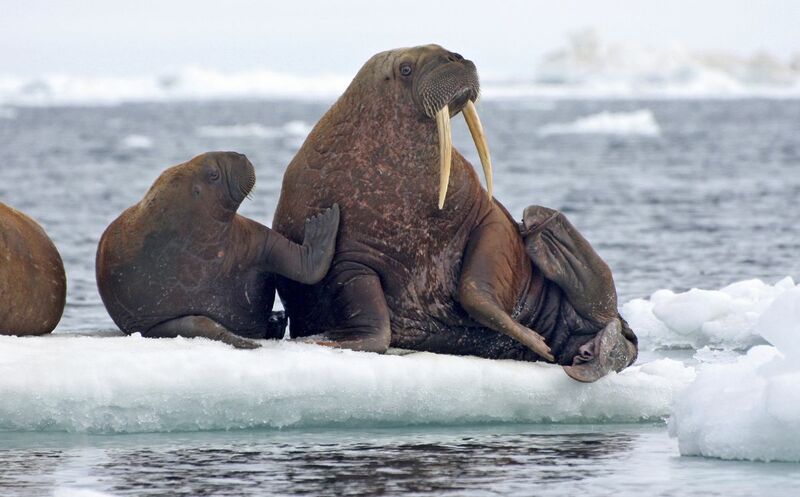 Chad Jay of the U.S. Geological Survey said it's unknown, for example, why female walruses give birth on ice instead of land. "One of the thoughts is that ... there's more protection for the young from predators," he said. "They're offshore, and it's a cleaner environment, too, for giving birth. But those are hypotheses that are difficult to prove." 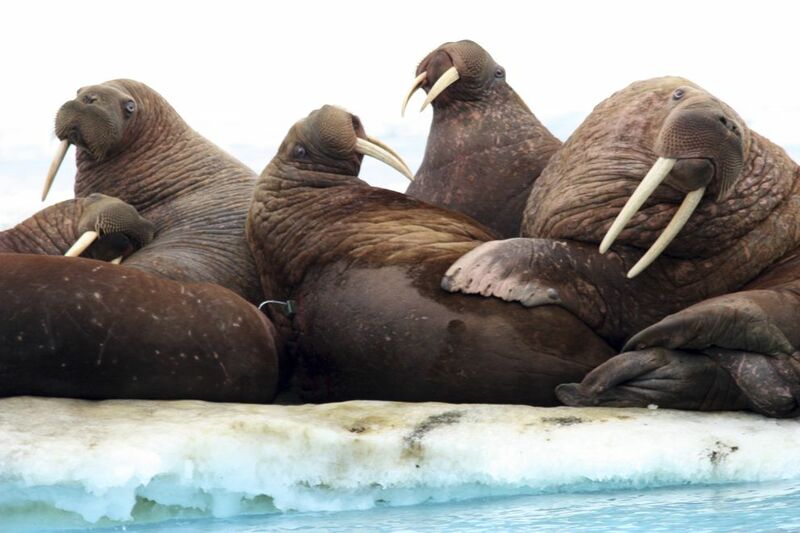 The walruses should be fine, the study concluded, if they can replace calories with additional feeding in winter, but whether that's happening is unknown. Endangered species law does not require perfect science to demonstrate adverse effects, Wolf said. When there's uncertainty, she said, the benefit of the doubt goes to the species.